Maier Tree & Lawn Fall Field Day Set for Sept. 20th! Fall Field Day! September 26th! Free Lunch! 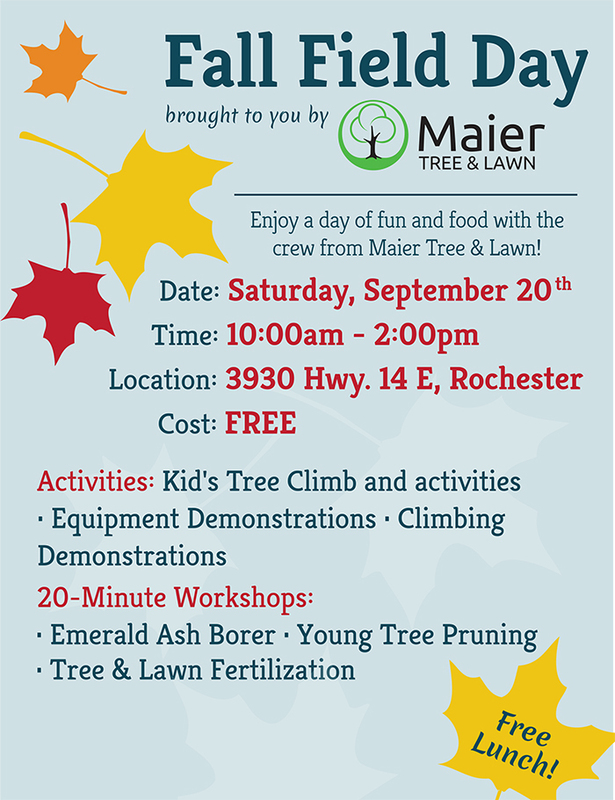 It will look like this: Maier Tree & Lawn Fall Field Day Set for Sept. 20th!